As medical records move online, doctors are increasingly bringing laptops into the exam room to take notes, write prescriptions and more. But laptops can be cumbersome, and the iPad has emerged as a popular device for medical professionals. In fact, one out of every five doctors in a private practice owns an iPad. 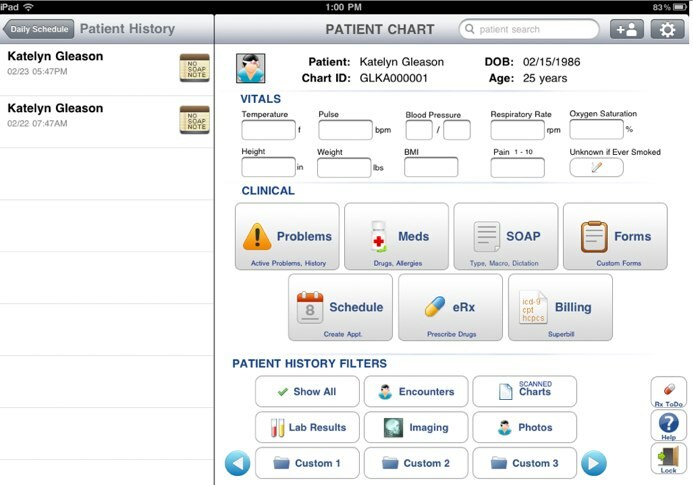 Enter DrChrono, a Y Combinator-backed startup that produces an iPad app and SaaS for doctors. 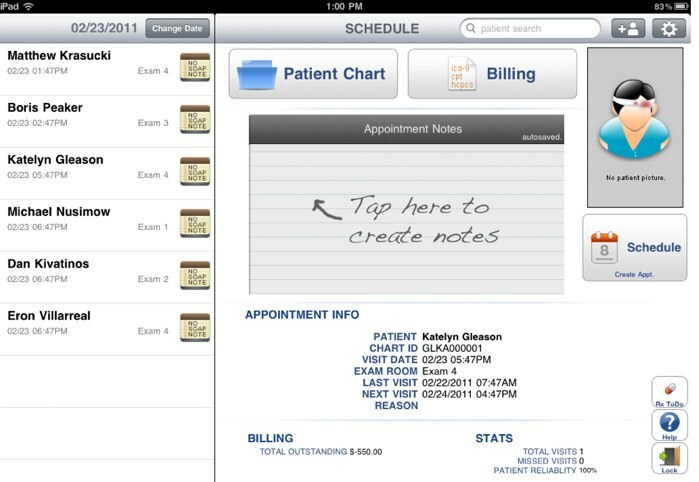 The free iPad app allows doctors to schedule patient appointments, write prescriptions and send them to pharmacies, enable reminders, take clinical notes, access lab results, and input electronic health records. The electronic medical records element is key because the Obama administration is currently offering strong incentives for doctors to start moving their health records online. DrChrono will help doctors start, finish and manage this process. And DrChono is more than just a simple iPad app. For $99 and up, doctors can upgrade to more storage for records, and complete medical billing. The billing component is another win for doctors, who spend hundreds of dollars each month for medical billing processing. DrChrono’s system integrates with all U.S. insurance companies, even the insurance agents that only use paper billing. The beauty of DrChrono is that the app itself is built natively for the iPad but also can be accesses via the web as well. Essentially the company wants to be the SAP for any doctors office. For now DrChrono is aiming its product at small private practices, with one to five doctors. The fact is that here has never been a better time for DrChrono to launch its business to the medical community. iPads are still the hot new gadget, and doctors have major incentives to move to electronic medical records.